It all began in 1994 where VILA became part of the family owned Danish fashion house BESTSELLER. VILA quickly grew and found its look, feel and core. Designing accessible fashion for young women with a personal style. 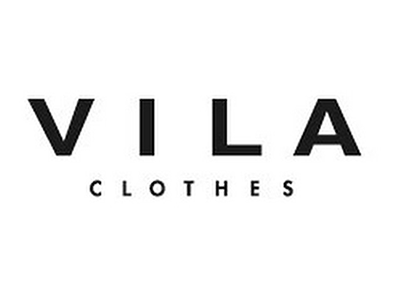 VILA has always kept true to its mission of creating feminine fashion with focus on quality, design and details. VILA believes that femininity is the perfect balance between being delicate and graceful. It is a balance which is expressed in all our clothes through little details in styles and fabrics. VILA is a feminine brand at heart and we want to give the VILA customers the opportunity to express that side of their personalities through the fashion choices they make. Joie de vivre is what lies behind sensuality. It is passion for experience both in spirit and in body and it should always be reflected in our clothes and in the way we present it. Sensuality is not only expressed in what you wear but more in the way you wear it. Enjoying life and knowing what you want makes life even better and more fun. At the heart and core of elegance lies a pure and simple approach to fashion. Simplicity is the key to letting personality shine vibrantly through the tides and tidal waves of trends. Less is more and simply does it when clean-cut lines and daring to enjoy simplicity are allowed to take the lead.